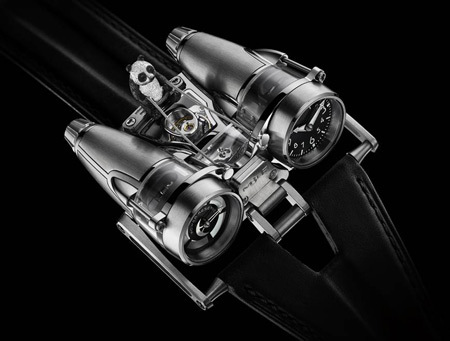 The MB&F MH4 looks like a pair of jet engines roaring off your wrist and costs about as much as the fuel needed to power one of those jet engines for a cross-country flight. However, the HM4 Only Watch limited edition costs even more (provided you can take part in the auction) and features a tiny removable panda cast in gold. All proceeds go to support muscular dystrophy research and the auction happens yearly, giving watchmakers a chance to create a unique timepiece only available to high bidders. A good cause, a panda, and a watch that looks like a pair of painful suppositories? Sign me up!